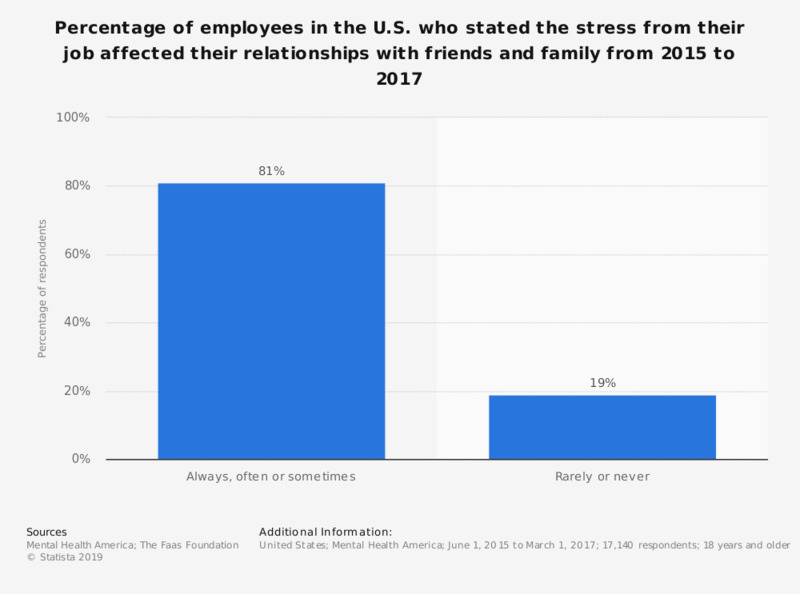 This statistic shows the percentage of employees in the U.S. who stated the stress from their job affected their relationship with friends or family from 2015 to 2017. During this time period, only 19 percent of respondents stated that work-related stress rarely or never affected their relationship with their friends or family. Everything On "Stress and burnout" in One Document: Edited and Divided into Handy Chapters. Including Detailed References. Which factors cause stress to you while driving? In general, how often do you visit/consult with a mental health professional for yourself?